The sugar loaf helm is one of the most iconic pieces of Crusades era armor, and it was one of the most popular among medieval warriors. 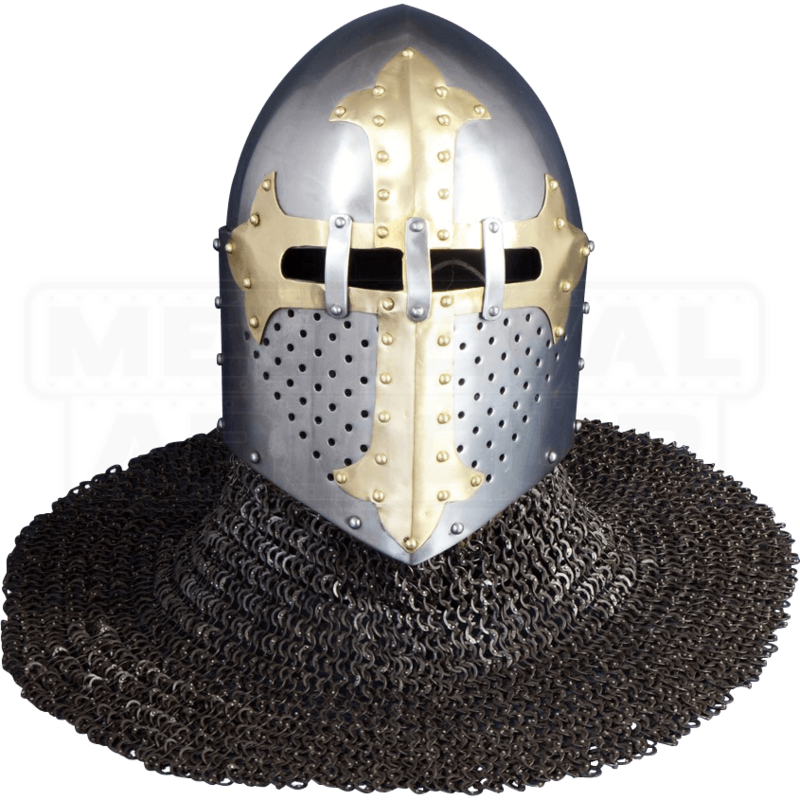 This Knights Cross Sugar Loaf Helm will be a great addition to your knightly look. This steel helmet features a classic sugar loaf helmet shape, with a pointed cap and a surface that covers your entire head. Protective features on this helmet include ventilation holes to help you breathe and eye holes with steel coverings to block your eyes. A steel chainmail curtain is riveted into the bottom edge of this helm and falls onto your shoulder for an additional authentic medieval appeal. A large bronze cross rests centered across the front of the helmet, making the Knights Cross Sugar Loaf Helm the ideal helmet for a distinguished medieval warrior of knightly prestige.